While he isn’t spoken about in the same reverential tones as Arnold Schwarzenegger, Dave Draper, and Frank Zane, Bill Pearl deserves a place in the pantheon of Golden Era greats. While the majority of his competitive career took place in the ‘50s and ‘60s, his influence continues well into the 21st Century, and his writings, particularly his epic tome “Keys to the Inner Universe,” remain essential for anybody interested in weightlifting and bodybuilding. Thoughtful and generous, Pearl was an icon to the generation that included Arnold, Oliva, and Zane. His story, like so many others from the Golden Era, show how weight training and bodybuilding can teach you the tools you need for a successful life. Bill Pearl remembers the day his life changed. It was during his high school years, when a friend of his brought over a copy of a muscle magazine called “Strength and Health.” Already interested in having a strong, athletic body, Pearl was mesmerized by photos of Steve Reeves and John Grimek, two early physique stars. He immediately decided he wanted to join their ranks. 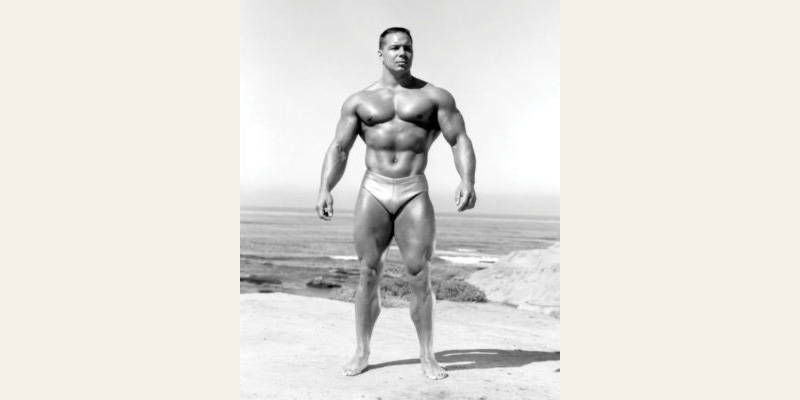 It’s a common origin story among many boys who become bodybuilders, but back in the 1940s, magazines and books related to bodybuilding and physique sports were rare. Weightlifting was considered bizarre, something only weirdos did. But nothing was going to stop Pearl. Born in 1930, Pearl’s desire to train was lit during the war years, when money and iron were in short supply, but Pearl found a way and was able to get his hands on York free-weight equipment. But he did more that. Pearl put his intellectual pursuits to the task of weight training and building muscle. He researched the great strongmen of history, such as Eugene Sandow (the man the Mr. Olympia trophy is named after), and began choosing bodybuilding-related topics for his school term papers. This communion of bulk and brains became the common feature of Bill Pearl’s long career. He became not just a champion of the sport, but the author of the first encyclopedic guide to bodybuilding, called “Keys to the Inner Universe”—a book so thorough and well-constructed that it is still relevant more than 50 years after its first publication. The massive tome, which is often referred to as the “Bible of Bodybuilding,” contained instructions on personal conduct, physique posing, and developing mindset, but the majority of the material was the more than 1,500 exercise descriptions. No wonder the book weighed six pounds when it was released. Pearl’s book wouldn’t have become a bestseller if he didn’t have the career to back it up. At 5’10”, he weighed in around 200 lb that were well-distributed in a manner consistent with Golden Era aesthetics. Known for his massively thick arms, Bill Pearl’s natural poise and balanced physique made him a role model who would go on to become a guiding light to Arnold Schwarzenegger, Frank Zane, Dave Draper, and other greats who followed him. Bill Pearl grew up in Washington and Oregon, and found his way to Southern California for his first foray into physique contests. Fresh from a stint in the Navy, he scored his first victory in 1952 in the Mr. Oceanside contest in Oceanside, California. He then carved a swath through the state, earning numerous titles before taking on global talent in the AAU and NABBA divisions. 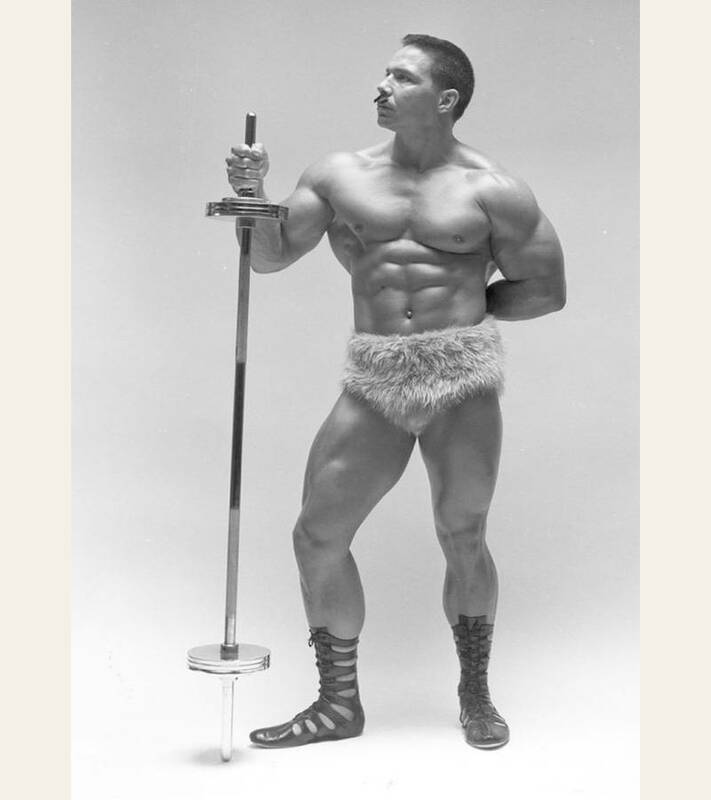 After winning the AAU Mr. America in 1953, Pearl would go on to win the NABBA Mr. Universe contest five times. Pearl’s traditional lifts were impressive as well. At a weight of 218 lb, he was able to hit personal bests of 320 lb for the military press, a 450-lb bench press, and a squat totaling 605 lb. Bill Pearl’s intellect and physical exploits made him a natural teacher, and he moved seamlessly into mentoring and coaching younger men in the iron arts. At one point, he worked at North American Rockwell as the athletic adviser to the medical staff in the aerospace division, where he helped train astronauts for the grueling demands of space travel. Pearl became famous for his ability to train and coach, and was sought out by the top talent in the sport. In the end he guided nine Mr. America winners, 14 Mr. Universe champs, and helped Chris Dickerson win the Mr. Olympia in 1982. Like a lot of independent spirits in the Golden Era, Pearl became entangled in some of the political turmoil related to the battle between bodybuilding associations, but despite what was happening around him, he stayed above the fray. This was a trailblazer who took pride in conducting himself as a gentlemen. He devoted a chapter in “Inner Keys” to mastering the social graces, and he was well known for his well-dressed attire and gentle affect when off the bodybuilding stage. Pearl himself never competed in the Mr. Olympia contest, but he did beat three-time Olympia champ Sergio Oliva in 1971 in the NABBA Mr. Universe contest. At that show, Pearl weighed 237 lb, and more impressively, did it at 41 years of age. One reason for his longevity was his attention to healthy living. Pearl became a lacto-ovo-vegetarian (somebody who eats dairy and eggs but not meat) in the late 1960s at the suggestion of his doctor, who was worried about the bodybuilder’s cholesterol levels. Pearl didn’t think twice and gave up meat, but it didn’t seem to affect his muscle or strength levels. The latter title should tell you a lot about Pearl’s work ethic. This is a man of substance with a studious approach. He doesn’t make wild promises, and preaches against dangerous shortcuts to achieve your bodybuilding goals. For decades he has set an example by presenting himself with class and grace, and tutored a generation of Golden Era greats on how to train, eat, and pose. 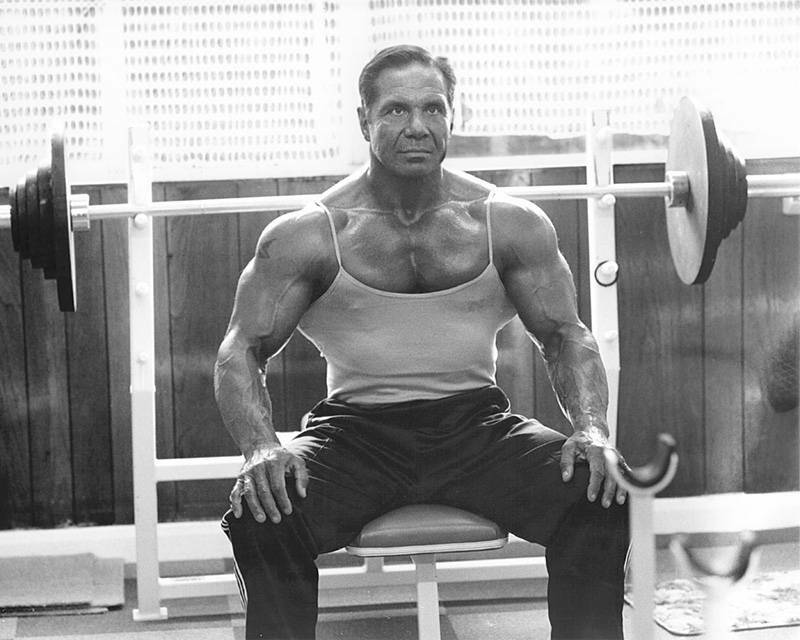 Through his seminars and writing, he exerted influence on athletes into the ‘80s and ‘90s, and still has much to teach young bodybuilders today looking to improve their physiques and character. Pearl stresses using your head as well as your body. He believes a key to success is keeping track of your training and nutrition by compiling journals and logs. As this Golden era legend says, “You don’t know where you’re going if you don’t know where you’ve been.” And Bill Pearl has been there. 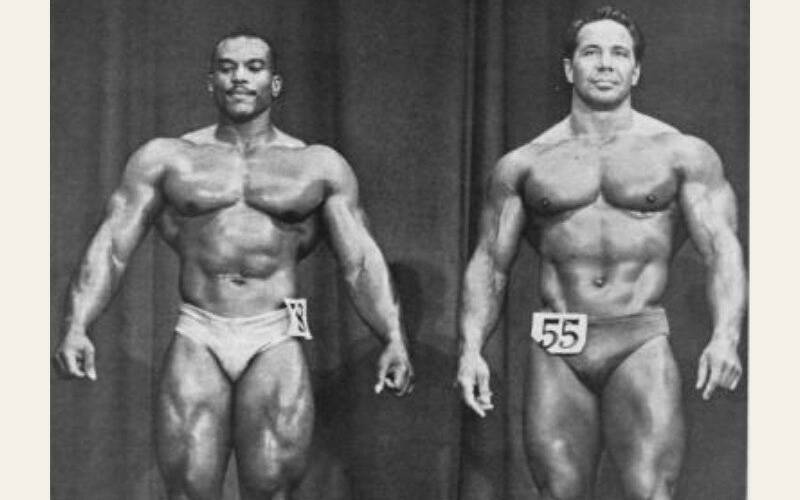 Share your thoughts below on Bill Pearl’s career and his continuing influence on modern bodybuilding. Do you think Pearl’s influence on bodybuilding has been underappreciated?